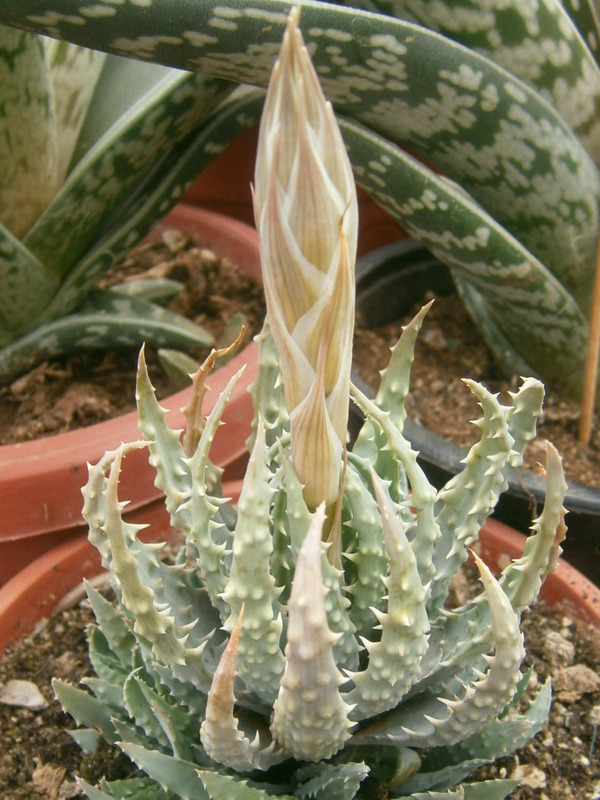 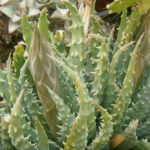 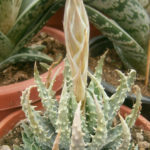 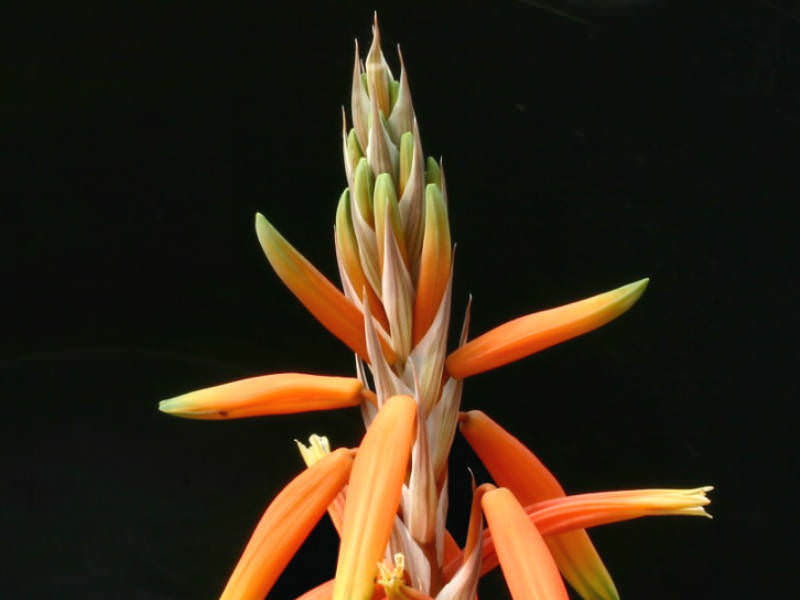 Aloe humilis is a low growing succulent that forms dense clusters of small, up to 8 inch (20 cm) wide, stemless (or very shortly stemmed) rosettes. 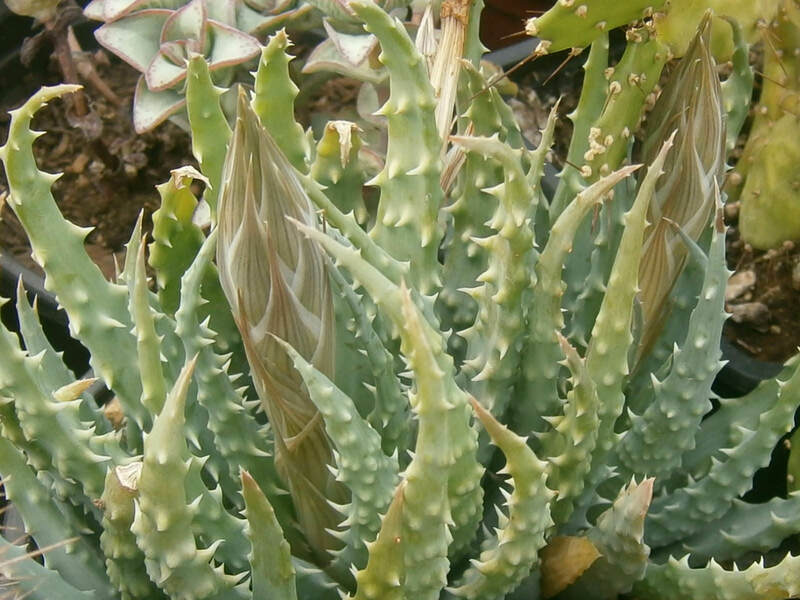 The leaves are up to 5 inches (12.5 cm) long and 0.7 inch (1,8 cm) wide, pale blue-green or grey-green, incurved, triangular-shaped (20 to 30 per rosette). 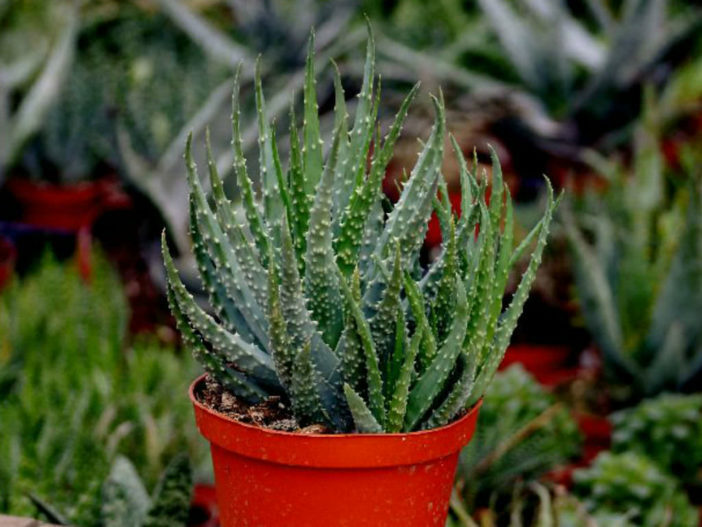 They have long, soft, white, marginal spines up to 0.1 inch (3 mm) long and a gray-green, waxy surface covered with irregularly spaced bumps. 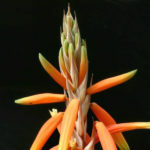 The unbranched, up to 1.1 feet (35 cm) tall flower spikes bearing about 20 pendulous up to 2 inches (5 cm) long, bright red-orange flowers.